Between 1957 and 1962, the Gibson humbucker that was designed by Seth Lover was labeled with the letters "PAF" for Patent Applied For. Starting in 1962 when the patent for the humbucker was granted, the pickups were instead labeled "Patent Number 2,737,842." PAFs from this period rank as the most legendary and collectable pickups in the history of the electric guitar. Prior to mid-1961, Gibson used either grade 2,3,4, or 5 Alnico pickups which varied in magnetic strength. 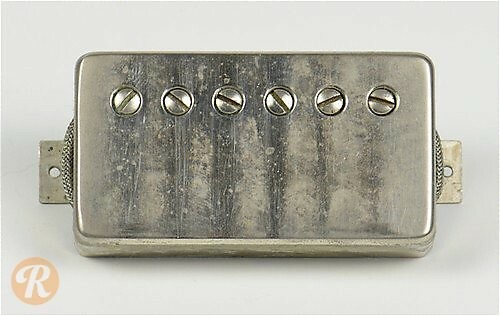 For this reason, there is a good deal of variation as to the exact composition of early PAF humbuckers.